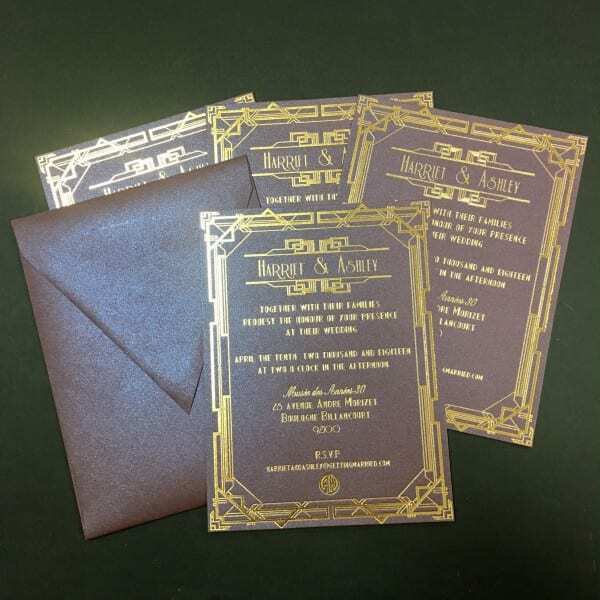 This striking invitation is printed using a method called hot foil stamping. 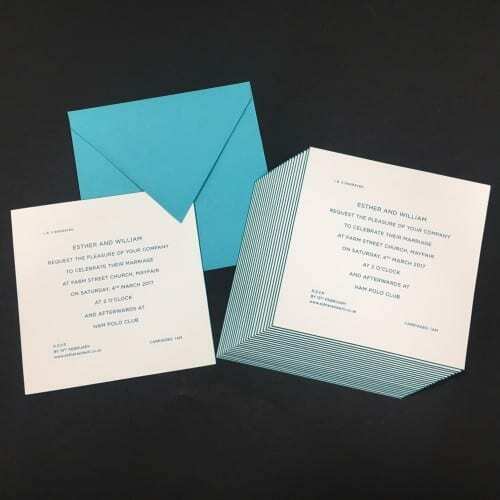 Taking inspiration from the glitzy Art Deco days of the 1920’s and The Great Gatsby, the invitation style is very popular. Foiled in gold on a 8×6″ 600gsm purple pearlescent stock, this invitation is incredibly eye catching and will definitely have your guests excited about your wedding day decor. 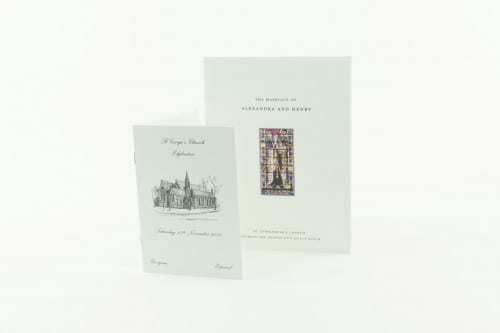 It is finished with a hand bevelled golden edge, and supplied with 155gsm white envelopes. 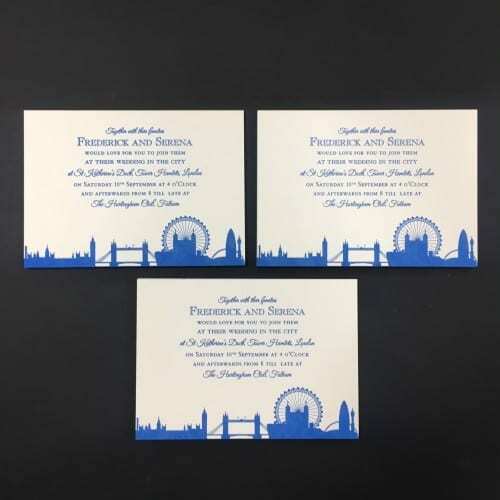 Matching envelopes, in a landscape or portrait style (pictured) are also available. 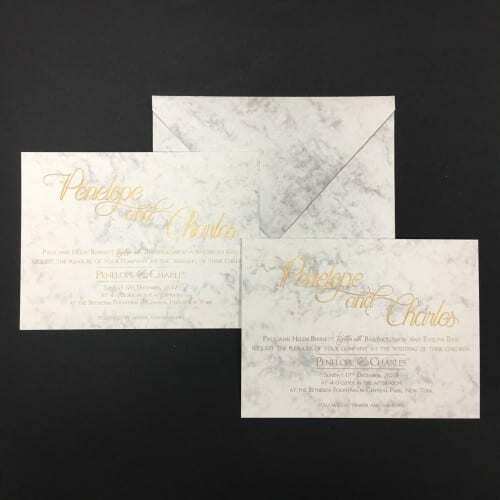 We also have other pearlescent stock colours and foils should you love this style but want to alter the colour scheme.